While cyber-attacks are a major threat to national security, adequate measures to protect systems of armed forces are in place. Use of pen drive on internet linked computers is restricted and governed by Cyber Security Policy promulgated by Ministry of Defence. Appropriate measures have been taken for ensuring cyber security in armed forces in the form of audits, physical checks and policy guidelines. Defence Services have established Cyber Emergency Response Teams (CERTs) to prevent and react to hacking attempts. 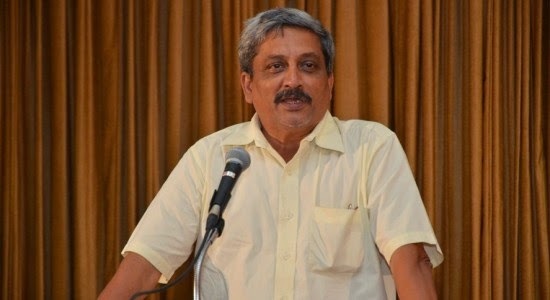 This information was given by Defence Minister Shri Manohar Parrikar in a written reply to Shri Parimal Nathwani and Mohd. Ali Khan in Rajya Sabha today. The contract for the supply of 12 VVIP / VIP helicopters signed with M/s Agusta Westland International Limited (AWIL) on 8th February, 2010 has been terminated by the Government of India with effect from 1st January, 2014 on grounds of breach of the provisions of the Pre-contract Integrity Pact and breach of the terms of the contract by M/s AWIL. The total amount paid to the vendor was Rs.1586.66 Crore (Rs.519.89 Crores as advance payment in March 2010 and Rs.1066.77 Crores as payment against completion of first milestone). Three AW-101 helicopters (two VVIP and one Non-VVIP version) were inducted in the Indian Air Force before the contract was terminated. This information was given by Defence Minister Shri Manohar Parrikar in a written reply to Shri Naresh Gujral in Rajya Sabha today. The Defence Procurement Procedure (DPP)-2013 provides for review of the procurement procedure after every two years. Besides, amendments are also issued from time to time as required. With a view to achieve greater self-reliance in defence production, Government has announced a Defence Production Policy and raised the Foreign Direct Investment (FDI) limit for Defence. The DPP-2013 lays emphasis on providing the desired boost to indigenous Defence Industry, both in the Public and Private sector, by mandating a higher preference to the ‘Buy (Indian)’, ‘Buy and Make (Indian)’ and ‘Make’ categorisation in Capital procurement. This information was given by Defence Minister Shri Manohar Parrikar in a written reply to Smt Renuka Chowdhury in Rajya Sabha today. Government constantly reviews the security scenario and accordingly decides to induct appropriate defence equipment including small arms for the armed forces. This is a continuous process undertaken through procurement from various indigenous as well as foreign vendors to keep the armed forces in a state of readiness. The capital procurement process for defence including issues relating to tenders, Services Qualitative Requirements (SQRs) and Field Evaluation / QA Trials, is governed by Defence Procurement Procedure (DPP)-2013. This information was given by Defence Minister Shri Manohar Parrikar in a written reply to Shri AU Singh Deo in Rajya Sabha today. Government constantly reviews the security scenario and accordingly decides to induct appropriate defence equipment / weapons. This is a continuous process undertaken through procurement from various indigenous as well as foreign vendors to keep the armed forces in a state of readiness. Acquisition of weapons and equipment for defence forces is carried out as per Defence Procurement Procedure (DPP), and as per Long Term Integrated Perspective Plan (LTIPP), Services Capital Acquisition Plan (SCAP) and Annual Acquisition Plan (AAP). Capital Procurements for Defence are currently being progressed as per the current LTIPP (2012-27) and AAP (2014-16). The Defence Services hold various surveillance equipment and these are procured as per the Annual Acquisition Plans. This information was given by Defence Minister Shri Manohar Parrikar in a written reply to Dr. V Maitreyan in Rajya Sabha today. Post Facto Approval for the issue of 5,84,205 equity shares of Rs.10/- each to CAE Inc., Canada. M/s. Ideaforge Technology (P) Ltd.
Foreign Shareholder & NRI IPO Allottees Repatriable Investment 22.79% + NRI 2.52% + FII-7.68%. FDI 49% from existing 17.29%. Fokker Elmo Sasmos Interconnection Systems Ltd. This information was given by Minister of State for Defence Rao Inderjit Singh in a written reply to Shri Shantaram Naik in Rajya Sabha today. • Initial Pay fixation of Lieutenant Colonel, Colonel and Brigadier equivalents;. • Common Pay Scales for Junior Commissioned Officers (JCOs) / Other Ranks (ORs). The principle of One Rank One Pension has been accepted by the Government. The modalities for its implementation have been discussed with various stakeholders. This information was given by Defence Minister Shri Manohar Parrikar in a written reply to Shri Ajay Sancheti in Rajya Sabha today. A proposal to construct a National War Memorial and National War Museum to commemorate our brave soldiers who have made the supreme sacrifice for the country, is under active consideration. This information was given by Defence Minister Shri Manohar Parrikar in a written reply to Shri Lal Sinh Vadodia in Rajya Sabha today. Damage to port propeller of INS Kuthar while coming alongside at Port Blair. Touching bottom of INS Cheetah while entering Kochi Harbour. Collision of INS Kora with MV Madeleine Rickmers at Sea. The Standard Operating Procedures (SOPs) as formulated have been adhered to in these four mishaps. Advisories for adherence to SOPs have been issued. Monitoring of adherence to the prescribed SOPs has also been instituted through regular Operational Readiness Assessment by the Flag Officer of Sea Training and Operational Readiness Inspection by respective Commanders-in-Chief. Safety procedures and professional checks are re-emphasized. Incidents Study and Analysis Cells have been instituted at professional schools wherein lessons learnt are incorporated into professional training. Safety Audits of various units have been instituted. This information was given by Defence Minister Shri Manohar Parrikar in a written reply to Dr. Chandan Mitra Shri in Rajya Sabha today.